Is It OK to Draw and Paint From Photos? The world of art has its fair share of controversies that extend beyond the realm of subject matter. Artists typically have their own opinions on process, ideas, and materials and many of them are extremely passionate over their beliefs. 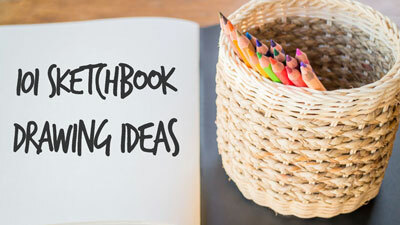 Some people believe that certain colors should be used in a palette and others excluded. Some artists believe that there is only one approach to drawing or painting that should work for everyone. And some artists believe that anyone that uses a photo as a reference is a heretic. I’ve even heard people say that you are not an artist if you use a photo to aid in the creation of your work. Now that seems a little extreme, don’t you think? In my years learning and teaching art, my opinions on matters such as these have changed and evolved. I’m sure that they’ll continue to do so as well. I’m much more “open” to new ideas and processes than I used to be. I have learned that one approach is never right for everyone – that materials, color choices, and processes are personal decisions and are never “black and white”. I’ve also learned that it is never a good idea to be so closed-minded to processes or approaches that I miss out on opportunities that could possibly expand me as an artist. Why then are there so many artists and teachers out there so adamantly opposed to working with photographs when drawing or painting? 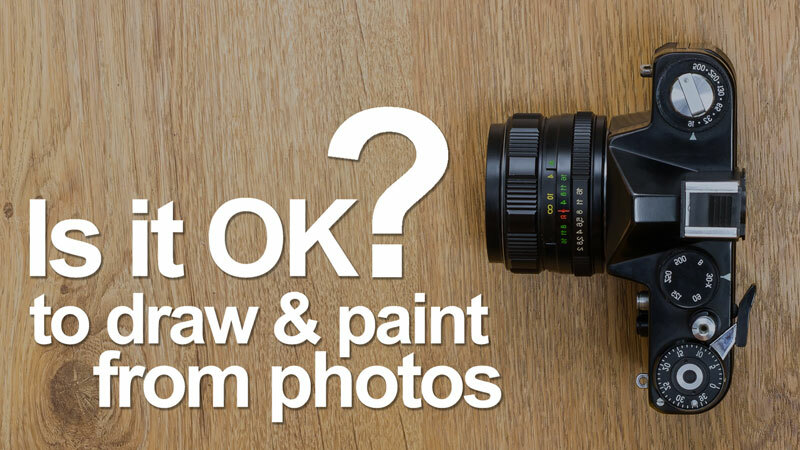 In this post, I’ll share several reasons why we should avoid using photographs as references but also the reasons why we should embrace photography as a tool for drawing and painting. I think you’ll find that the answers are not so “black and white”. There are good arguments on both sides and I’ll try to highlight them so that you can form your own opinion. 1. It could hinder the development of drawing skills. To better understand why drawing from photos could be a hinderance, we must first be clear on what’s happening when we are learning how to draw. When we are learning how to draw, we are actually learning how to see. Of course, mark-making and an understanding of the medium that we use is important, but understanding the objects that we are drawing is paramount. We understand these objects visually and then communicate them in our drawings and paintings visually. Essentially, we are taking visual information, analyzing it, and then recording it on a flat surface to create an illusion. 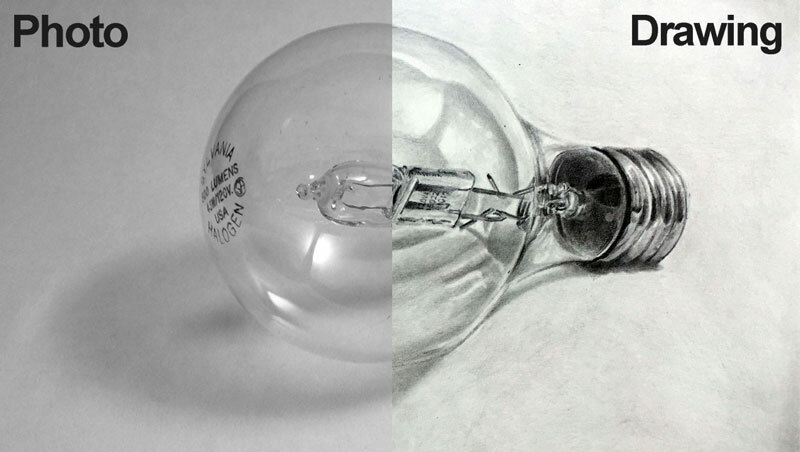 When we draw from a photo, we are basically copying information that has already been flattened. In other words, some of the work has already been done for us. The visual information has already been simplified into shapes, values, and lines. We still have to find them and record them when we draw, but less analysis is required. This means that we don’t have to fully understand the light, form, or spatial relationships of the objects – we just need to copy the information in the photo – matching colors, values, shapes, and edges. This is not necessarily a bad thing because we still have to recognize what we are seeing. But if your goal is to improve your “seeing” as quickly as possible, it may be best to draw from life as much as possible. You may find that you don’t finish many drawings, but the growth comes from analyzing and training your brain and not as a result of finishing artworks. A few quick sketches from life. 2. Reference photos could limit you. The best reference photos are the ones that you take yourself. You have control, in some cases, over the light, composition, and the vantage point. Creating reference photos is an art in itself and takes time and experience to perfect. If your reference photo is less than optimal, then you could be limiting yourself and the potential drawing or painting that you create. If you rely heavily on a photo that is not successful on its own, then the resulting drawing or painting will not likely be successful either. Because creating successful reference photos can be difficult, you may find yourself turning to professional photographs. Leaving the originality issue aside, you have even less control over the photo – since you didn’t take it. The light, composition, and vantage point have already been determined. You may crop the image or manipulate it with software, but you are still limited. Despite what we may believe, photos don’t always provide truthful information. For example, if we observe a shadow from life, we may notice a subtle warmness or coolness. We may even see a hint of a color or combination of colors. In a photo however, these subtleties may get lost or flattened. In this case, the photo is not telling us the full story. It’s not giving us all of the information that we could use. Then there’s the flash. If a flash was used to take the photo, then the light within the scene is completely altered. The flash washes out the deep shadows and transitions of value, making the resulting drawing extremely flat. 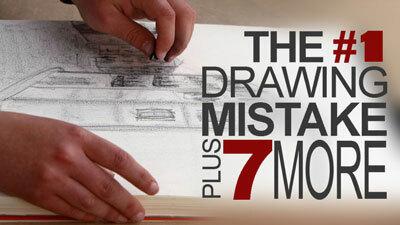 Learn a new drawing concept and skill every day for 25 days. 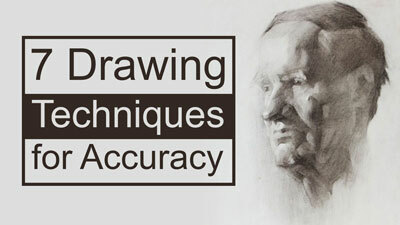 Each drawing concept taught includes a short drawing exercise (less than one hour) that reinforces the concept taught. So now that we’ve looked at a few reasons why we should avoid using photos as references, let’s next look at the reasons why we should consider using them. 1. Using photo references expand what we can draw and paint. Let’s face it, if we want to draw or paint an albino tiger, we can’t just go out and hire one to be our model. And even if we did find one to sit for us, the entire session would endanger our lives. I know that I’m being a bit extreme here, but I’m sure that you understand the point that I’m making. For many subjects, only a photo reference will do. There are many subjects that we just cannot draw or paint from life – a photo is our only choice. If you are of the opinion that photo references should not be used to create a drawing, then you are severely limiting what you can create. 2. Photos don’t move, get tired, or spoil. 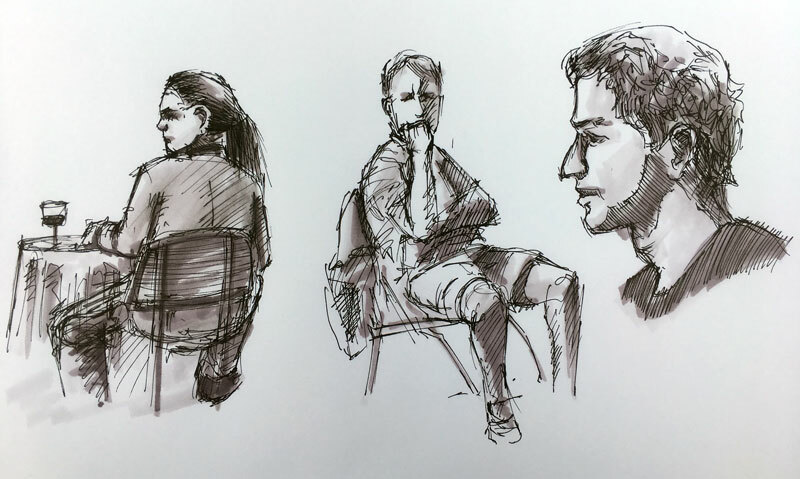 When drawing subjects from life, without the aid of a photo, we are in a race against time. Figure models get tired and move. Still life arrangements with flowers and fruits eventually spoil. Unless carefully planned and controlled, the light will change throughout the day – even by the hour – producing different shadows and highlights. A photo however, captures the moment and subject in time. The light, angle, and colors all stay consistent. When a photo is used as a reference, we are no longer in a race against time. Instead, we can work slowly and methodically. 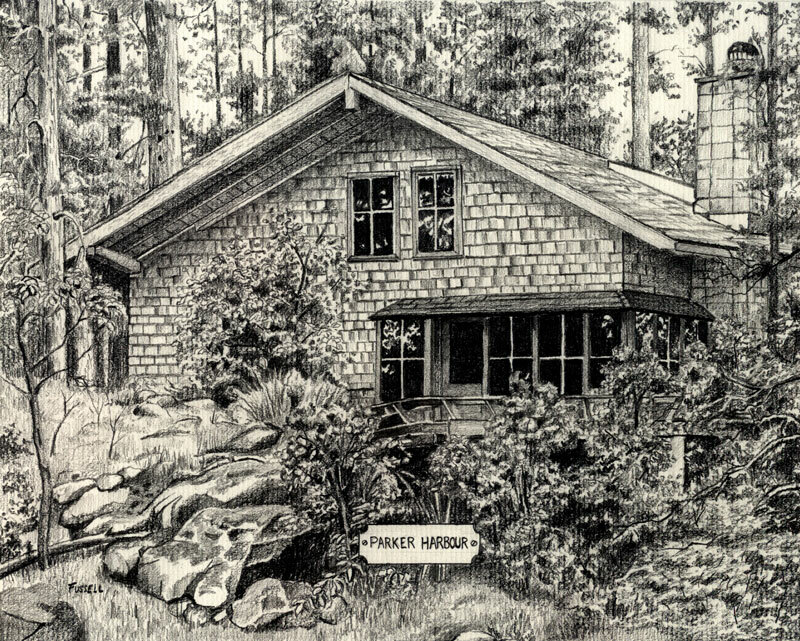 We can make comparisons between the reference and the drawing, correcting mistakes as we go. A camera captures details that the human eye overlooks. If detail and pinpoint accuracy is most important to you, then a photo of the subject is essential. Photos also allow the artist to use certain devices and approaches that lead to greater accuracy. 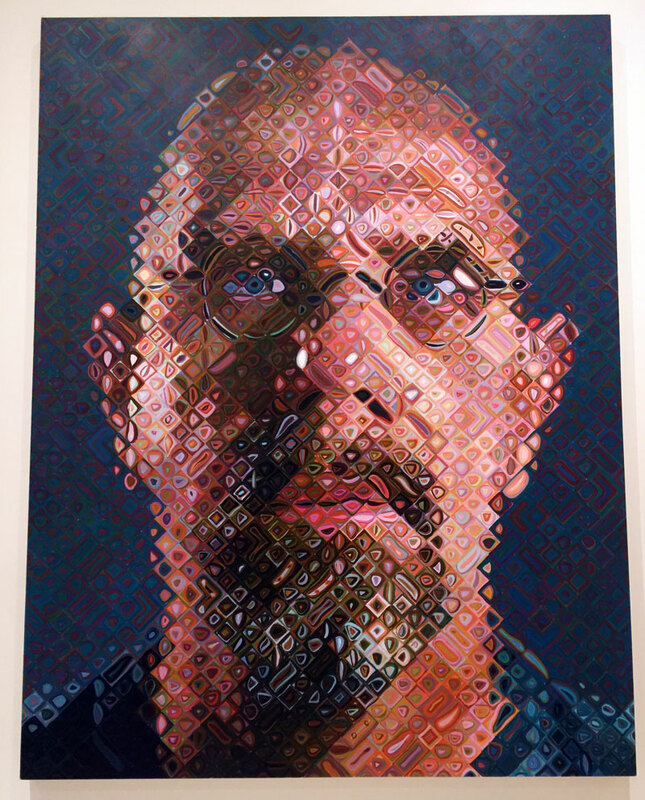 The grid technique, used by artists such as Chuck Close, relies heavily on the photo. Without it, the process is simply not possible. Clearly, there are great arguments for both sides of this “issue”. There are good reasons why we should avoid photos and excellent reasons for why we should use them. Everyone will have their own opinion on which approach is the “best” and varied reasons for feeling the way that they do. Ultimately, a work of art should be just that. It should communicate the subject, but do it in a way that is as unique as the artist that describes it. We’ll all achieve this using different approaches and processes. I think it’s best not to judge the approach and process of another artist. The artwork should be measure of quality not the process or resources that the artist used to create it. If we work from photos, then the art that we create should always be more interesting than the photo. The quality of the work should never be judged by how well the photo was copied. 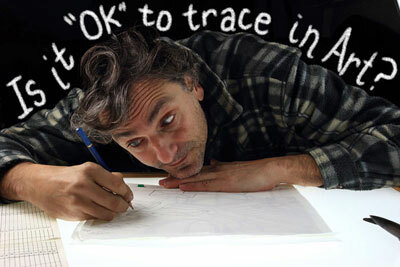 Is it OK to Trace in Art? I have hear people say that copying from a photo is cheating. But sometimes a photo is all we have left of someone who is no longer in our life. The photo may be a fairly accurate physical representation of the person, but does not necessarily convey what we saw in them and felt about them. If we want to use the photo as a guide to memory in making a drawing that shows how we saw and felt about them, I think it should be OK to do that. And I think such a drawing should be evaluated on its own merits. Just copying a photo is cheating, but capturing yourself in an interpretation of a photo is not IMHO. Not allowing photos is kind of like saying we have to give up on people just because they are no longer with us. That seems wrong to me.